Caustic Apex Legends Hoodie features Caustic on a red background. Caustic is best known for being a mad scientist. Once a promising scientist with a bright future, his research took a dark turn. 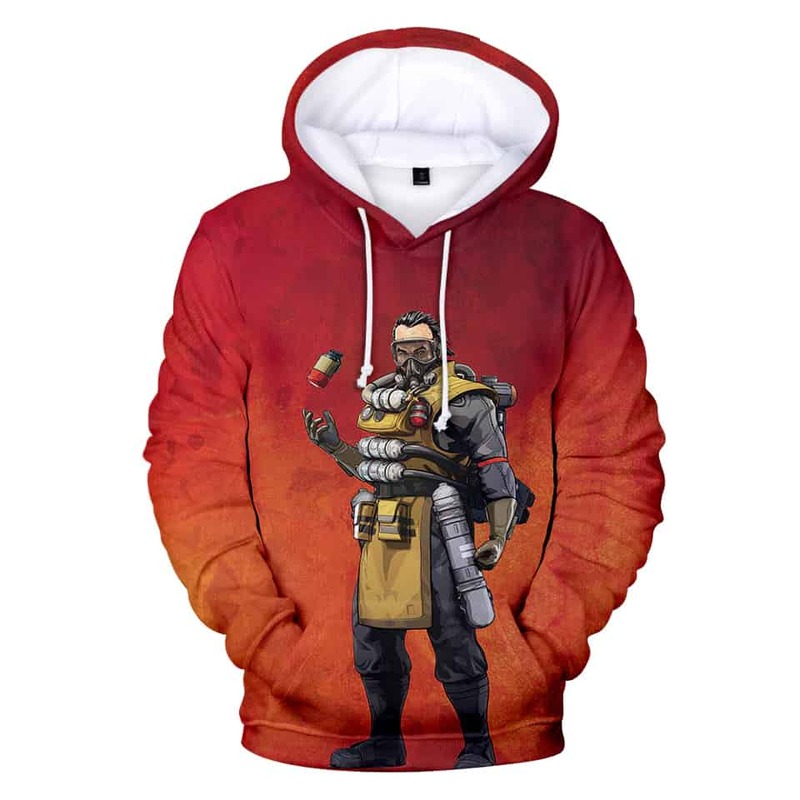 This hoodie features a graphic of Caustic with his poisonous canisters and battle armour.